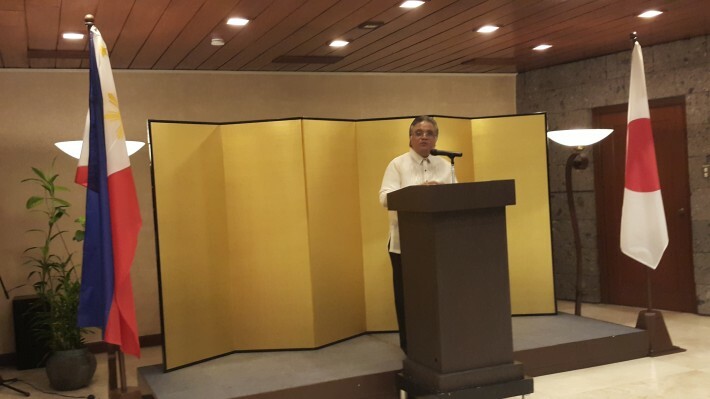 Speaking in behalf of PHILFEJA, President Philip B. Sanvictores expressed his sincerest gratitude to His Excellency Ambassador Kazuhide Ishikawa for hosting the Annual Dinner for Former Filipino Students in Japan and for recognizing the value, achievements, and work of former Filipino ryugakusei. The dinner was held at the Ambassador’s residence last April 14, 2016. On behalf of the PHLFEJA I would like to express our sincere gratitude and thanks to the Embassy of Japan led by His Excellency Ambassador Kazuhide Ishikawa, and his dynamic and friendly team at the Embassy, for hosting this annual dinner for former Filipino students in Japan. “Min. Ueno made mention of the ASCOJA Conference held last October (2015) and I would like to take this opportunity to express once again, and in this particular occasion, the strong support and hard work that the Embassy of Japan extended to PHILFEJA. 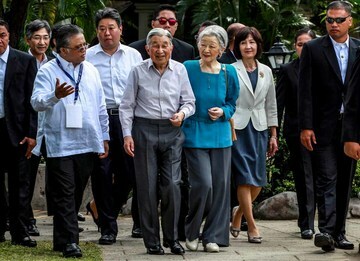 There were many side issues around that conference – like for instance the fact that (former) Prime Minister (Yasuo) Fukuda became our guest of honor; my goodness, the Embassy (of Japan) was really involved all the way from preparation up to departure. The program that we to put together – the Embassy was always involved in supporting us and I would say they facilitated it, not only with financial contributions of (the) Japan Foundation which was allocated from Tokyo. 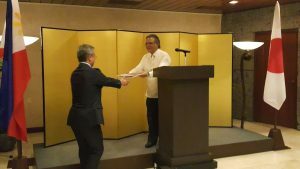 All these are concrete evidences or concrete occasions where Japan through its Embassy in the Philippines continued to express the value of former students, former ryugakusei and the trainees, to current Philippines-Japan bilateral relations; not only in the bilateral field, but also in supporting us in our multilateral ASEAN-Japan relations. “I would like to also take this opportunity to present the Conference Compendium, to the Embassy of Japan, to Ambassador Ishikawa and Minister Ueno. We prepared a close to 200-page Compendium. It is a chronicle, a record of what transpired in those three days. And this is not to just say that this is what we accomplished; (rather,) more so I think this is something that we can look forward to, to prove that there is much to accomplish from now on, especially for future generations of Filipino and ASEAN students and trainees in Japan. 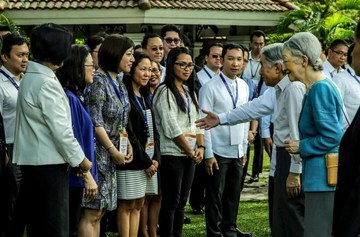 “The good Minister also mentioned the visit of Their Majesties, the Emperor and Empress of Japan last January. And again, we were honored – former students – to be given 30 minutes of an audience in Intramuros with Their Majesties. We can talk all night about our experience; we can talk all day and for many months and I will continue to talk about it to my children and grandchildren, because it is a once-in-a-lifetime opportunity to be able to welcome Their Majesties and be able to mingle with them, to experience them mingling with former foreign students (in Japan). I found that experience to be not only extraordinary but very gratifying to know that Their Majesties are truly interested in Filipinos who studied in Japan. All of us felt honored that they would ask pointed questions – not only where we studied, what we took up. They engage (us) in very specific discussions and conversations with each and every one of us; and there were more than 50 of us. I believe they spoke with each and every one of us. I remember the Imperial Household aide say, “Mou jikan de gozaimasu” (laughter); but then they continued. Then His Excellency Ambassador Ishikawa also whispered into their ears, “Hontou ni, jikan de gozaimasu” (laughter) … oh they continued, so the 30 minutes became 45 minutes. I mean I was really flabbergasted. “To me, that is at the heart of Philippines-Japan relations. And we, through the Embassy and our friends in Japan in the Philippines – we really have a strong partnership. And we can look forward with hope that our relationship will only be stronger. And this is what being a ryugakusei is all about. That from generation to generation, we can be assured that friendship between our countries and our peoples will continue to strengthen and deepen. Minister Ueno, thank you very much for this evening. We are all so blessed and honored to be invited.